Armenian food culture is unique in the villages. Dishes made of eggs play important role in Armenian food culture especially in the rural areas of Armenia. Eggs are cooked year-round; dishes are made mainly from chicken and quail eggs, however, occasionally goose, turkey and pigeon eggs are used. Eggs in combination with vegetables, mainly with tomatoes (dzvadzeh) are considered to be the most prestigious cuisine. 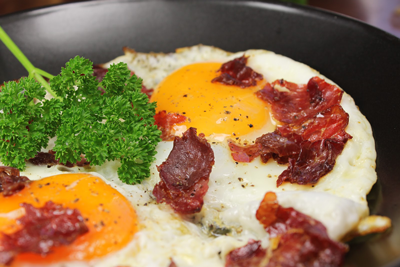 Eggs are fried with dried meat, such as with basturma and suchuh. 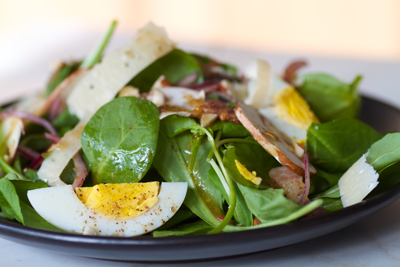 Eggs are also widely consumed in salads, soups, main dishes and bakeries. Armenians keep eggs in bins with flour, in jars with salt, or the wells in boxes fill with pre-warmed river sand. Eggs are used in cheese, also are boiled, and fried with vegetables. 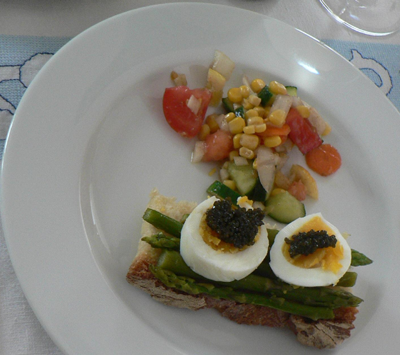 Havkit dzknkitov - appetizer of hard-boiled eggs and trout caviar. Dzvi aghtsan - salad of whole cooked egg whites, seasoned with stuffing of hard boiled egg yolks cool with fennel and thyme flavored with lemon juice. Hatsov dzvadzegh - fried egg with bread. Sokhov dzvadzegh - fried eggs with slices of sweet white onion. Panrov dzvadzegh - scrambled egg with "Jill" cheese. Tomato Dzvadzegh - fried eggs with fresh tomatoes, peeled. Mhlov - eggs in hard roasted butter not fully fried. Tsnebekov dzvadzegh - scrambled eggs with asparagus. Dzvi pnak - pancakes egg-milk mixture with chopped fresh kotem (watercress). Chulama – scrambled from eight eggs in milk and flour, served with sour cream and spicy red pepper. Havkit apur - soup of fresh young spinach leaves, sorrel and cutter with sliced hard boiled egg and sour cream. Chlpur – omlet-like scrambled eggs mass, flavored with garlic and peppermint. Avinar - scrambled eggs with garlic, matsun (yogurt) and loaves. Dzvjhur - finely chopped white mushroom fried with onions in oil is added with beaten eggs with parsley and fried until brown. Slices served with unsalted cheese. Interesting. Never thought one can use eggs for such creative dish making!